Who doesn’t love hummus? But Jalapeño Humms? Wow. Chickpeas, Garlic, Tahini, and Jalapeños Stuffed Olives – all blended together in a creamy goodness. Mmmm. I’ve left out the Olive Oil for a lower-fat version and you really can’t even taste the difference. But adding the jalapeños takes to a whole new level! Man is this good. If you’re not into spicy, use plain Green Olives instead, or leave them out entirely. 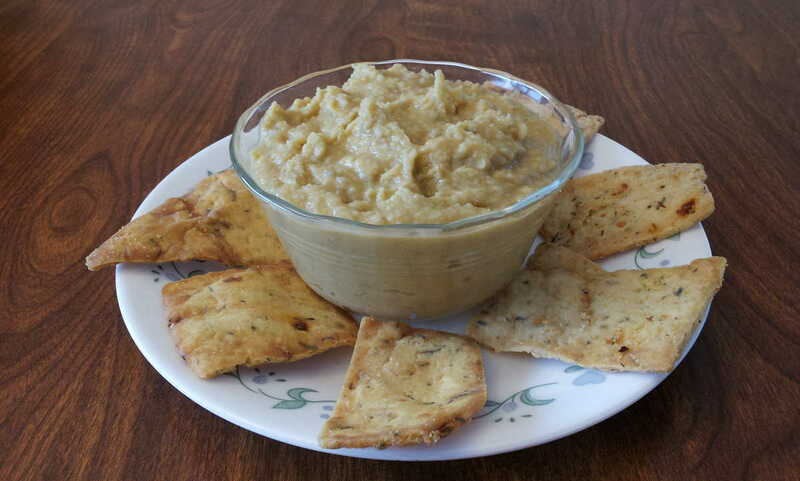 This is an awesome dip for Pita Chips and Veggies, or add some Tortilla Strips, Kalamata Olives, Sliced Cucumber, and Cherry Tomatoes for an amazing Mediterranean Plate. Who doesn't love hummus? But Jalapeño Humms? Wow. Chickpeas, Garlic, Tahini, and Jalapeños - all blended together in a creamy goodness. I've left out the Olive Oil for a lower-fat version and you really can't even taste the difference. But adding the jalapeños takes to a whole new level! Man is this good. Rinse the Garbanzo Beans well and drain. Process on Low Power until smooth. If you use a blender it will be much more creamier – just be careful of sticking anything into the blades while it’s running. Wooden Spoon shards in your Hummus is never a good thing. Add the spices and continue blending. Remember more Sesame Oil will raise the fat content. Add the Stuff Olives and process just until they’re chopped up.